The dragons came to earth seeking an Enukara. The invasion was silent, taking decades to unfold. The first generation was smarter than humans, sent to befriend, learn, and study the local inhabitants. They crippled Earth’s technology with minimal effort. The second generation were the foot soldiers and devastated any human opposition. The following generations reproduced quickly and took Earth by sheer numbers. Resources grew slim. Rolling blackouts, burnt crops, and ravaged livestock forced man to retaliate. Thirty years passed before the first Enukara. A simple act of kindness from a human toward a dragon triggered the miracle. The human was blessed with the ability to heal another’s wound. The dragon bonded to him was granted immortality. The price for this gift was simple. The dragon’s life was bound to the human. If the human died, so would the dragon. The human could only heal another if the energy was transferred through the dragon. If he touched someone of his own accord, the transfer would drain him, leaving him lifeless. The dragon was forced to take on the role of guardian, forever protecting his human if he wanted to survive. The greed of dragons and humans was underestimated. For if an Enukara’s life was taken by another, they would inherit the immortality blessed to the dragon. Both human and dragon could steal this gift. This discovery led to the death of thousands of Enukaras over the next sixty years. Most Enukaras were slain days after the blessing. The dynamics changed when one dragon killed his own Enukara out of desperation. The power he inherited was unfathomable. This dragon hunted and killed every immortal who had slain an Enukara. He eliminated all remaining Enukaras and a semblance of peace ensued. What was once considered a blessing is now feared. Dragons and humans have ceased all interaction to avoid enacting the Enukara. There has been no Enukara for twenty years. It has been one hundred and ten years since the first generation of dragons landed on Earth. dragon killed his own Enukara. The power he inherited was unfathomable. He hunted and killed every immortal who had slain an Enukara. 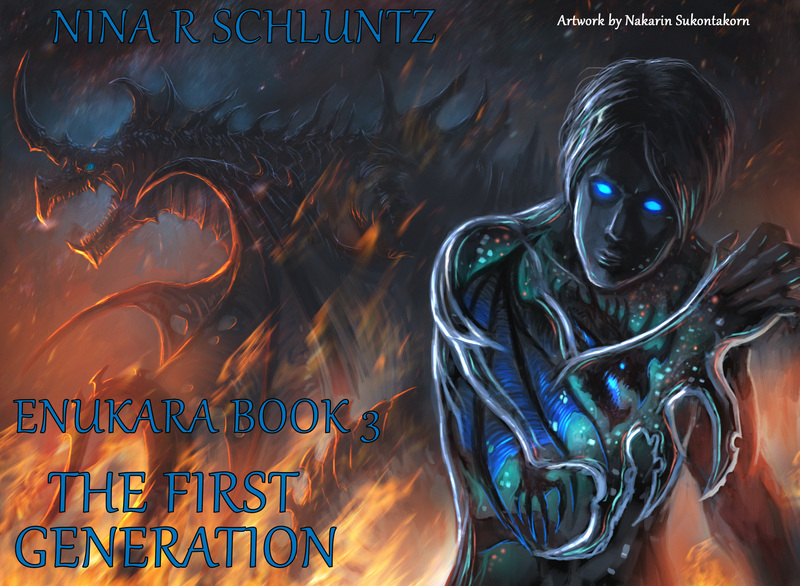 A new Enukara emerges who challenges the mindset of the immortal dragon and the Enukara hopes to alter the fate of humanity, by showing the dragon how to love once again. The black dragon, Zackariah, falters in his reign of terror when he falls in love with the most recent Enukara, all of whom he’s previously murdered. Zackariah created an Enukara back when they were being made every day, and murdered hours later. Despite the odds, he managed to keep his alive long enough to understand how compassionate humans can be. Decades later, he meets his Enukara’s son, Jonas, and finds that he is now an Enukara. Zackariah must decide if he will tell him the truth behind his mother’s death, even if it risks the relationship forming between them. Jonas knows Zackariah murdered his mother. He can accept this, but not the swirling lies around the reason why he did it. If he makes the same error it will lead to not only his death, but the death of all the Enukaras, present and future. The initial dragon invasion force came to collect and befriend the humans of Earth. 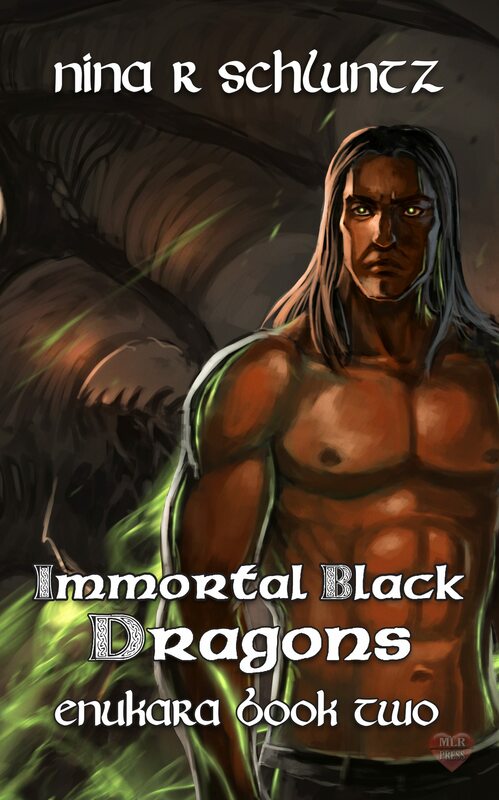 Immortal by birthright, this first generation of dragons peacefully coexisted with humans for decades until reaching maturity. By mating with humans, a second generation was created, a soldier force with one mindset, to decrease the population on Earth. 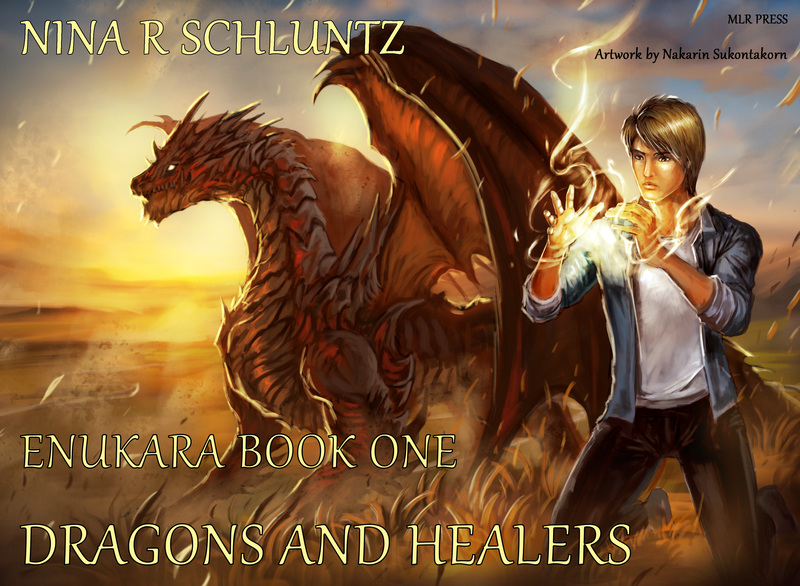 The current dragons populating the Earth have the ability to create healers known as Enukaras. The surviving first generation live in isolation. Jeremiah, an operative from a first generation colony, is sent out to investigate rumors of a woman pregnant with a dragon. His encounter with the dragon king, Zackariah, leads to an immediate infatuation. Jeremiah’s attempts to secretly prevent the unborn child’s birth while seducing the dragon king quickly escalates tension between his people and those that follow the dragon king. 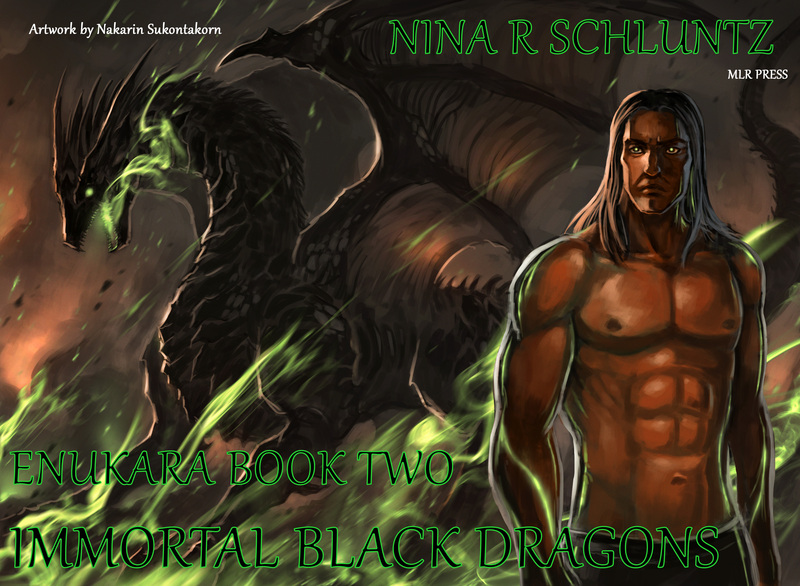 Jeremiah must work with the dragon king’s other lover, an Enukara, to prevent a second dragon war. Meant to bring harmony to the Earth after years of turmoil from the dragon invasion, Elemental Dragons emerge and seek their human counterparts—Dragon Mages. Deemed a threat to all current social orders and leaders, some seek to prevent the Elemental Dragons from finding their mages and attaining their true powers. Others offer a recruitment program, wanting to capitalize on their abilities. Xander has spent most of his life loyal to the dragon king, who adopted him as a hatchling. Upon his encounter with a human who can become his Dragon Mage, he feels his first independent desires and his loyalties are tested. Kaylee never knew her background, or that much about dragons. Finding herself with a bloodline capable of making her into a powerful mage, she must decide which Elemental Dragon she desires to bond with, and which leader she wishes to align with. wer factories and in some countries, even eat and skin. 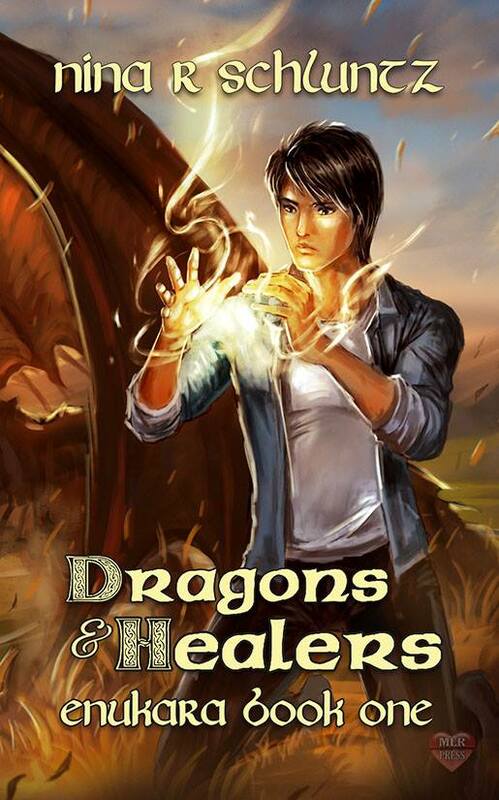 Brothers, Ellis and Wyatt believe the dragons have more potential than humankind give them. When they discover an escaped dragon in their barn, they know she’ll be killed if returned to her owners. They decide to take matters into their own hands and ask a drifter they met at a bar for help. He’s rumored to be a dragon whisperer and might just be the one to help the dragons rediscover who they are.